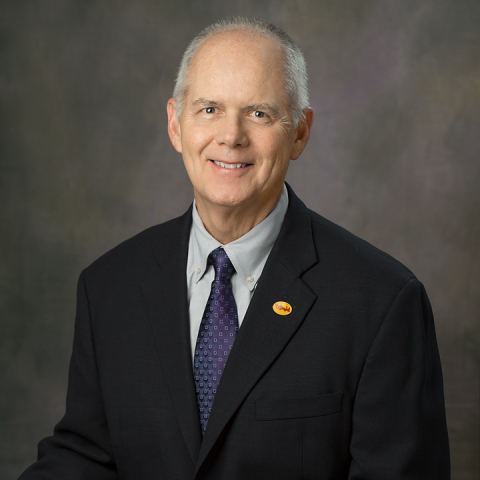 CHARLOTTE, N.C.--(BUSINESS WIRE)--Randy Poindexter is retiring as Bojangles’ senior vice president of marketing after more than 28 years with the company. Bojangles’, Inc. is a highly differentiated and growing restaurant operator and franchisor dedicated to serving customers high-quality, craveable food made from our Southern recipes, including breakfast served All Day, Every Day. Founded in 1977 in Charlotte, North Carolina, Bojangles’® serves menu items such as made-from-scratch biscuit breakfast sandwiches, delicious hand-breaded bone-in chicken, flavorful fixin’s (sides) and Legendary Iced Tea®. At December 30, 2018, Bojangles’ had 759 system-wide restaurants, of which 319 were company-operated and 440 were franchised restaurants, primarily located in the Southeastern United States. For more information, visit www.bojangles.com or follow Bojangles’ on Facebook, Instagram and Twitter. Randy Poindexter, Bojangles' senior vice president of marketing, will retire after more than 28 years with the iconic Southern brand.